To celebrate Pi Day on March 14th, Three Brothers Bakery is challenging its fans and followers to show off their math skills with proving how many decimals of the 3.14 numerical sequence they are able to recite. For those who can remember 10 numbers, guests will win a free slice of pecan pie, and those who can memorize 25 decimal places will win a whole pecan pie. On Monday, March 14th, guests can visit any Three Brothers Bakery location and recite their 10 or 25 decimals to the counter clerks for their chance to win a slice of, or whole, pecan pie. Assistance from notes, smart phones and friends will not be allowed – the guest must recite the sequence from memory. For those who are less interested in math but are still looking for a store-bought pie with a taste of home to celebrate Pi Day, Three Brothers Bakery offers apple, pecan, chocolate pecan, cherry, lemon meringue, pumpkin, and many more pie flavors, including its famous layered Pumpecapple Piecake. The traditions of Three Brothers Bakery began in Chrzanow, Poland circa 1825, and were preserved despite the family’s concentration camp imprisonment during the Holocaust. Their miraculous liberation, and subsequent move to Houston, brought Eastern European scratch baking traditions to 4036 S. Braeswood Blvd, 12393 Kingsride Lane, and 4606 Washington Ave where the owners are now proud to call themselves “memory makers who just happen to be bakers.” Perfecting the process for almost 200 years, each day the fifth generation bakers produce mostly dairy-free breads and pastries, cookies, a full line of specialty dessert cakes and pies, as well as custom birthday, special occasion, wedding and groom’s cakes using only the highest quality ingredients. 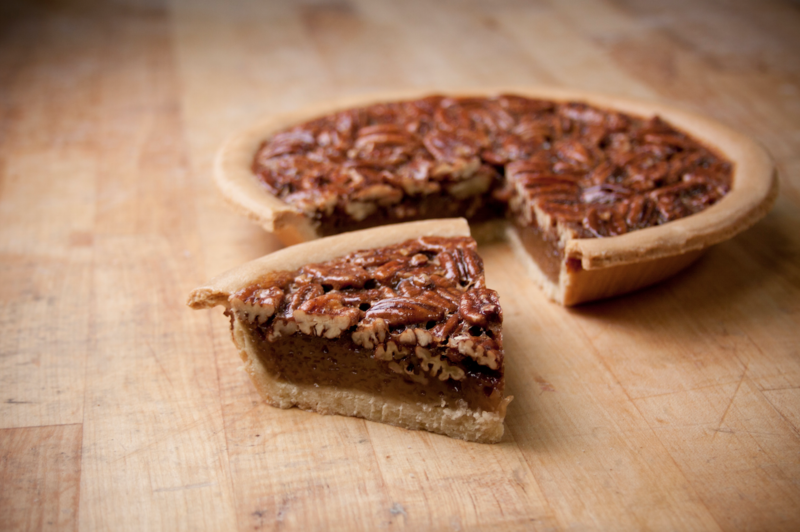 The Three Brothers Bakery pecan pie was named “the best mail order pecan pie America has to offer” by Country Living magazine, bakery owner, Bobby Jucker competed in the popular ‘Food Network Challenge’ and has been seen on Food Network’s Outrageous Food. Three Brothers won “Best Mail-Order Pies 2012” from Bon Appetit, as well as Modern Baking’s “2013 Retail Bakery of the Year” and was part of The Knot’s “2010-2013 Best of Weddings” and “Hall of Fame” picks. Most recently, Three Brothers Bakery was named #11 in “America’s 50 Best Bakeries” by The Daily Meal, and was awarded the 2013 Jeffrey Butland Family-Owned Business of the Year by the Houston division of the U.S. Small Business Administration. Three Brothers Bakery is a certified Woman-Owned Business through the Women’s Business Enterprise National Council, and a State of Texas Historically Underutilized Business. Follow Three Brothers Bakery on Facebook and Twitter for Houston area news, information and events.